This is what they look like for the 20th anniversary of the festive tradition. There are a few signs that the holiday season has arrived: The leaves start to turn orange and red. Christmas lights and plastic, singing figures of Santa Claus start to appear at your local convenience store. 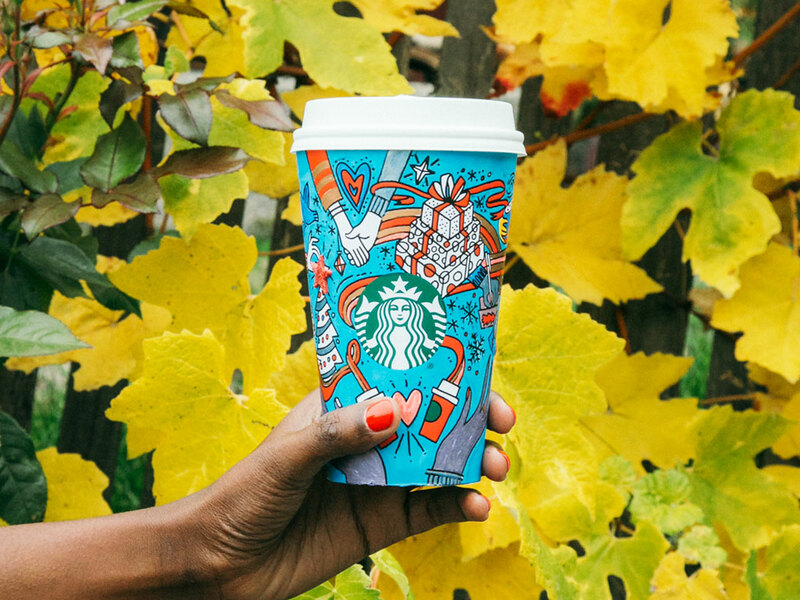 And, most importantly, Starbucks releases its beloved holiday drinks. 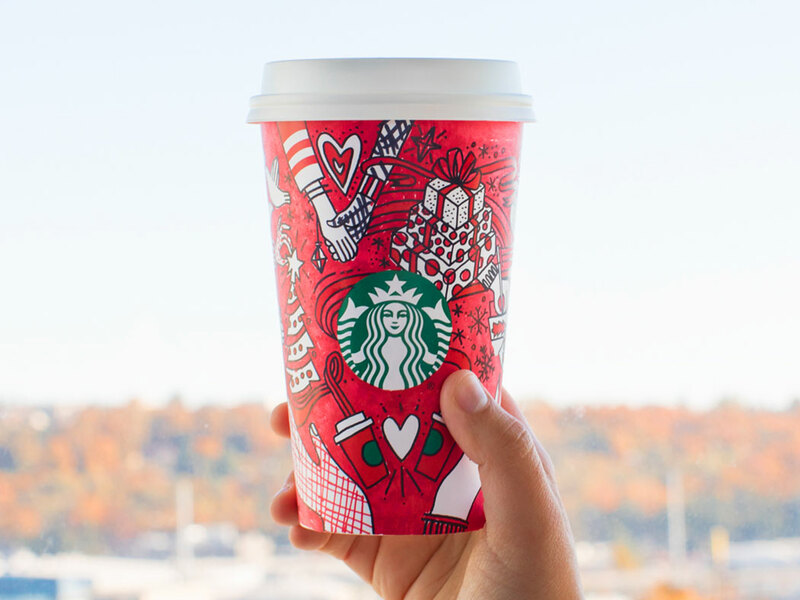 Today, that day has come: The coffee chain has announced that you'll now be able to sip on your favorite flavors that only come during the holiday season, including the Peppermint Mocha, Chestnut Praline Latte, and the Caramel Brulée Latte. Starbucks eased its fans into fall slowly, starting with the official release of its famed Pumpkin Spice Latte—which, by the way, comes in bottles now that you can pick up at the grocery store—but the true sign that Christmas is right around the corner is the smell of the Peppermint Mocha wafting through the air. It tastes like candy canes, and it’s one of the most recognizable Christmas flavors you can get in a cup of coffee. 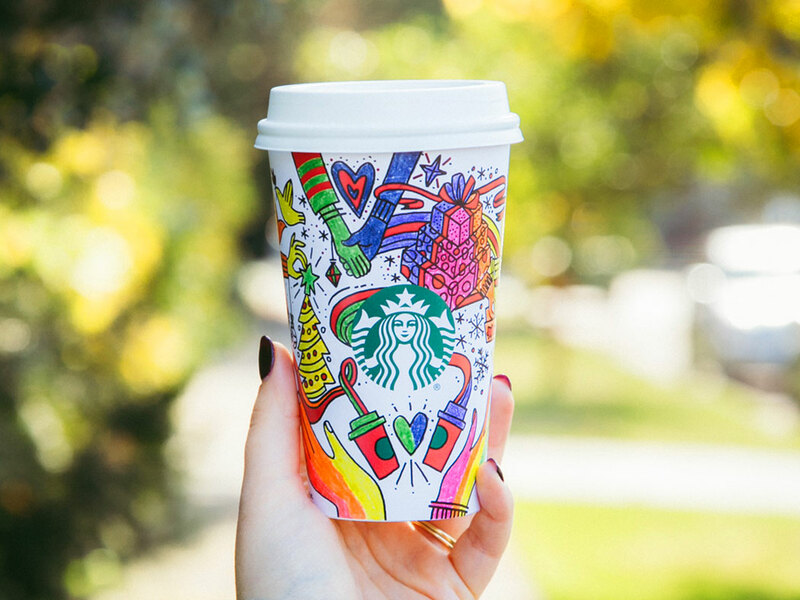 Starbucks is also introducing a new feature to its holiday cups (which the company has released every year since 1997): You can now color them in with your own design. Don’t love red and green? Try a rainbow pattern instead. 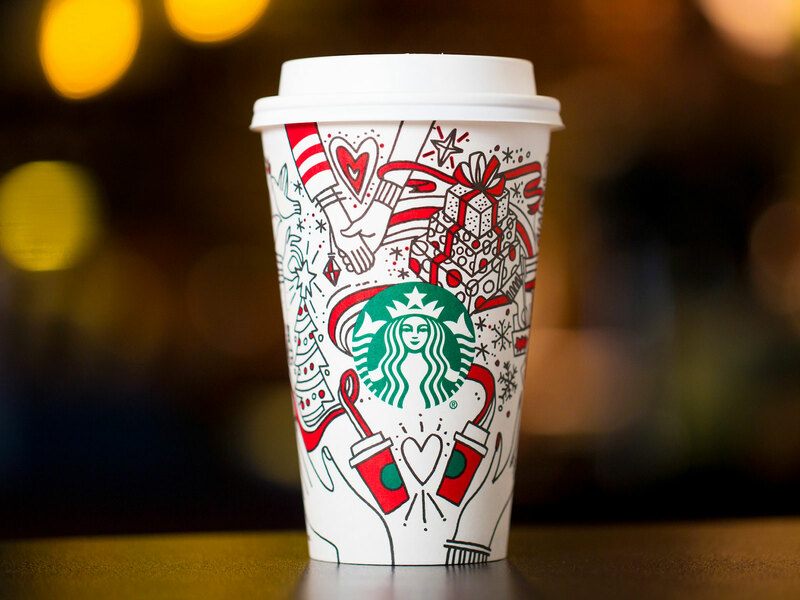 Printed with hearts, presents, and Christmas trees, the cups are certainly holiday-focused, but that doesn’t mean you can’t put your own spin on the classic design.